This week has been spent mostly preparing for the Pop Up Shop that we are having tomorrow. 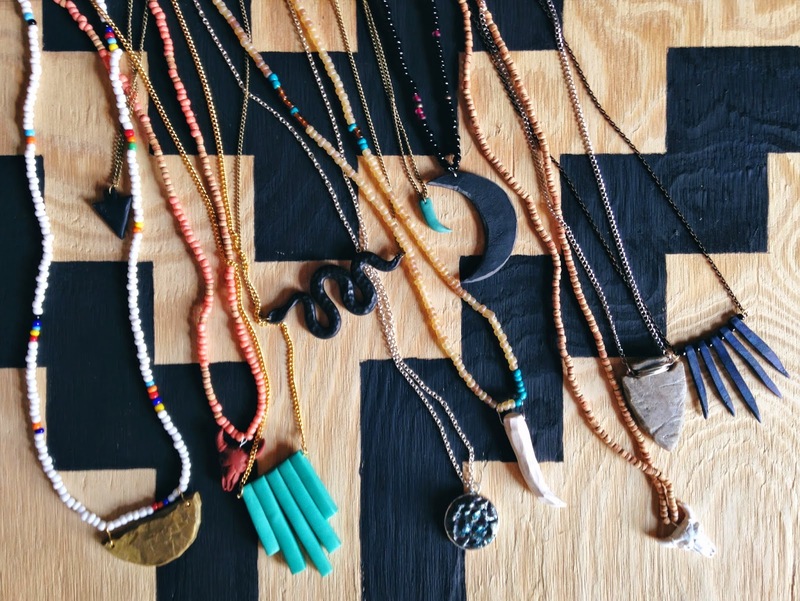 We will have all of the kimonos out for sale and tons of new jewelry! If you are in the Nashville area and are interested in stopping by, send us an e-mail (heywanderer@gmail.com) for details! If you aren't close by, you can see most of the kimonos in our Etsy shop, however most of the jewelry isn't listed. I am LOVING the necklaces!! Are they going to be listed on your Etsy shop? I gots to check them out :D I seriously wish I could just reach into the photo and grab all of those and keep them! I'll be putting some of the neckalces on Etsy this week! Sold a lot of them already, but will be making more in the future.